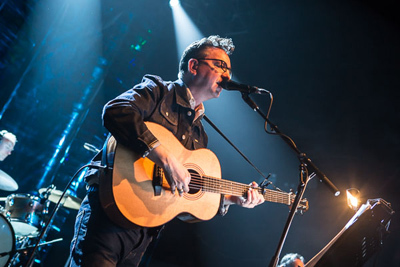 Richard Hawley takes to the stage and gives an enthusiastic thumbs up to the welcoming audience before playing the first of the evening's songs, Which Way, that is taken from his recent album, Hollow Meadows. 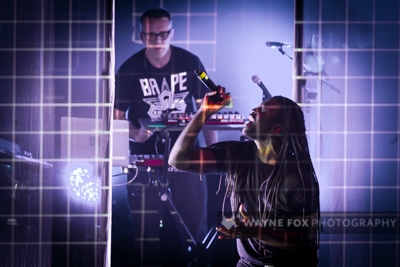 From the outset, it is evident that this is going to be a special gig as the sound flowing through the venue has a richness rarely heard. 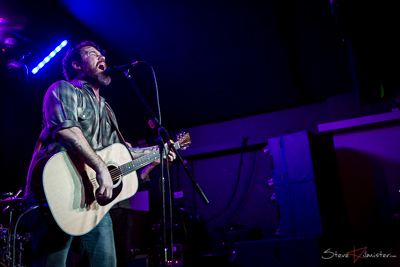 Hawley draws the song to a close by using the head of his guitar to conduct the other four members of the band to ensure a clean finish before the reason for his cheerful mood is divulged. It turns out that Hawley's beloved Sheffield Wednesday are beating Arsenal 3 - 0 and his son is currently watching the match so he dedicates an older track, Tonight The Streets Are Ours, to him. 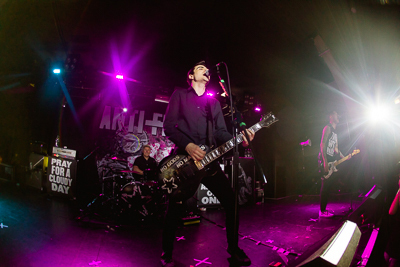 Anti-Flag showed their political activism on their amps with imagery of a child holding a gun, and a drone. These stalwarts of the scene open with Turncoat to a rather lack luster crowd. A few songs in, with the delivery of fan favourite ‘Broken Bones’, and the crowd finally wake-up to it being a punk rock show. 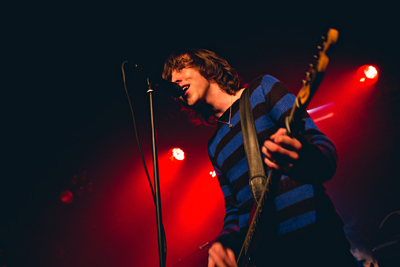 You can’t blame the crowd for an apathetic response; bassist Chris Barker offers up continual scissor kicks that feel contrived whilst the rest of the band just feel like they are going through the motions, all be it professionally delivered motions. 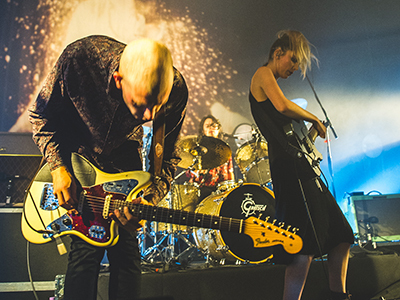 Birmingham has become something of a second home for London grunge/rock group Wolf Alice. 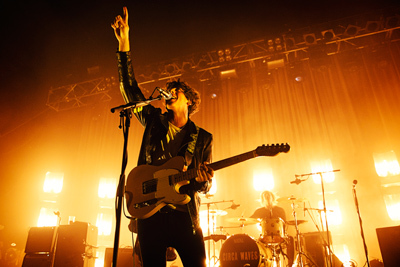 They’ve enjoyed many-a-gig in England’s second city, and their rise in stature and fame is personified through the bigger-sized venues. Tonight’s packed-out gig at the Institute shows just how much the band have been propelled into the mainstream. A worthy winner of the X Factor ITV show. 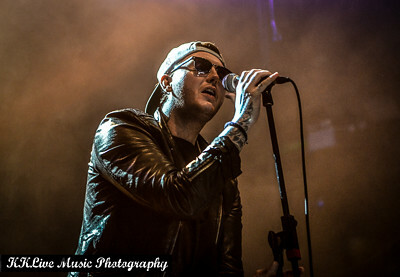 Having spent 17 of my formative years growing up in Middlesbrough I know how ‘unfairly’ difficult it can be breaking through into any creative area of the arts being a Northerner, and although there has been some controversy surrounding James Arthur it should not detract from the fact that James is an impressive performer. 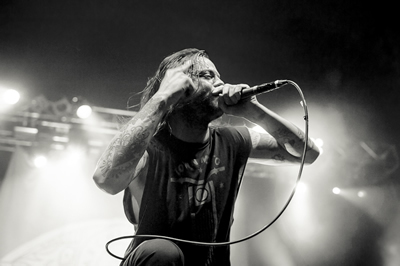 Even if you aren’t a fan of Cancer Bats you have to concede that these guys know how to put on a show. 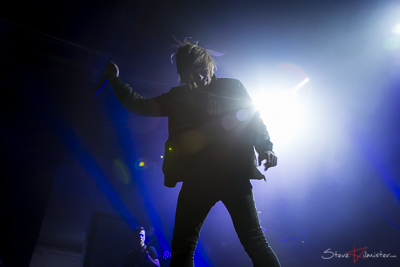 They enjoy what they do and they take time hanging out with fans in the smoking area prior to their set. The interlude music of Andrew WK fits perfect for these guys to enter the stage. 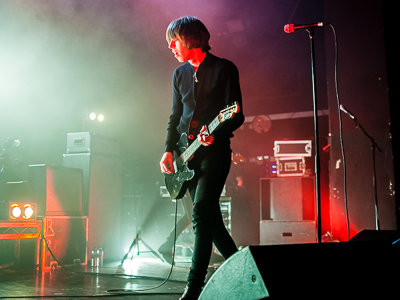 Catfish and the Bottlemen - or to continue an abbreviation theme CATBM - have been blessed with a fairly meteoric rise to fame over the last 12 months, which although they find hard to comprehend themselves, is no surprise to anybody who follows the music industry and certainly not to the team at Gig Junkies HQ. Tucked away, so far from the merch, in the Temple Room of the Institute you would have found me huddling into myself for warmth. 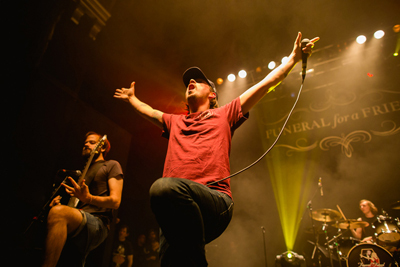 Exactly a year ago to the day Architects were in Birmingham unleashing their blockbuster record Lost Forever // Lost Together onto a thronging Institute crowd, tonight they returned to hammer home their message and brought with them some friends in the form of Every Time I Die, Bless The Fall and Counterparts. Birmingham is awesome and I'm telling everyone!! 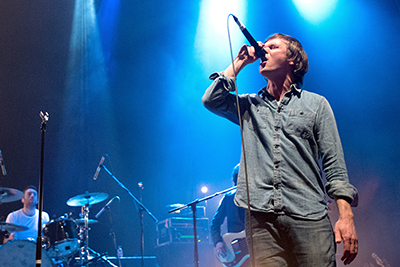 Scottish veterans Idlewild headed here as part of their present UK/EU tour and were greeted with open arms by an energetic/warm audience, the atmosphere within the room making the evening all that more electric. 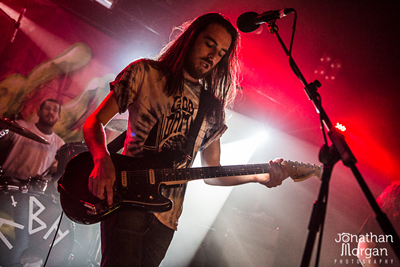 As I walked into the Institute well aware of whom Pulled Apart by Horses were, I was greeted with a sign politely stating “No Stage Diving” I found this a tad ironic with tonight’s visit of Yorkshire's finest, ready to rip the place apart.